EE, the network formerly known as Everything Everywhere has released the details of its pricing and plans for superfast broadband and 4G mobile services in the UK. 4G, or 4GEE as the company has dubbed it, arrives in the United Kingdom on October 30 and should provide speeds up to five times faster than 3G. This is good news for people who have been frustrated by mobile connection, but it won’t actually be everything and everywhere straight away. The network roll out will start in Birmingham, Bristol, Cardiff, Edinburgh, Glasgow, Leeds, Liverpool, London, Manchester and Sheffield initially and by the end of the year this will spread to Belfast, Derby, Hull, Newcastle, Nottingham and Southampton. The company says that it is working on the rest of the country and that 98% of the UK should have the 4G service by the end of 2014. For those who are not in the 4G areas, EE is making improvements to its 3G network. According to the company, the next step – DC-HSPA should provide faster download speeds for devices like the Galaxy SIII and the iPhone 5. Around 40% of the UK population should be able to access DC-HSPA by the end of this year and the roll-out should be complete by the end of 2014. So how much for this super fast crazy mobile internet connection? Well, the pricing plan is meant to be simple – but then which service provider really has a plan that would be easily explained in a Miffy book? All of the pricing plans include unlimited calls and texts. More proof that phones are even less about traditional forms of communication and more about watching movies, carping on Twitter and checking Facebook. For 24 month plans the breakdown goes like this – £36 monthly buys you 500MB of data, £41 for 1GB, £46 for 3GB, £51 for 5GB and £56 for 8GB. There is also a separate tariff for small businesses and ‘4GEE Sharer’ options which you can see in the image below. There are other benefits attached to the 4GEE plan. Customers who take the £41 per month or £35 per month for businesses can access 18 million music tracks from Deezer, download two games from a selection including Asphalt 7 and Modern Combat 3 as well as streaming live TV via EE’s mobile TV service which includes 19 channels such as Channel 4, Eurosport and the Cartoon Network. The 4GEE service will be available to Orange and T-Mobile customers who already have a 4G device. Those devices are the Samsung Galaxy SIII LTE, HTC One XL, Nokia Lumia 920, Nokia Lumia 820, Huwei Ascend P1 LTE, E589 Mobile WiFi and E329 mobile broadband stick. You can find more details and a gallery of these devices here. With more homes and businesses sucking down data through underground cables, it’s no surprise that EE has also spruced up its fibre broadband service too. The new service is said to be typically ten times faster than the UK average. (In August this was quoted as being 9Mbps). EE’s fibre broadband should be able to provide superfast speeds for up to 20 simultaneous users at home or in an office. This can cope with all sorts of activities including streaming HD TV, VoIP calls and video conferencing as well as downloading large attachments and watching films. Customers who take home broadband with their 4GEE phone plan will be offered a discount of up to £120 on their phone. 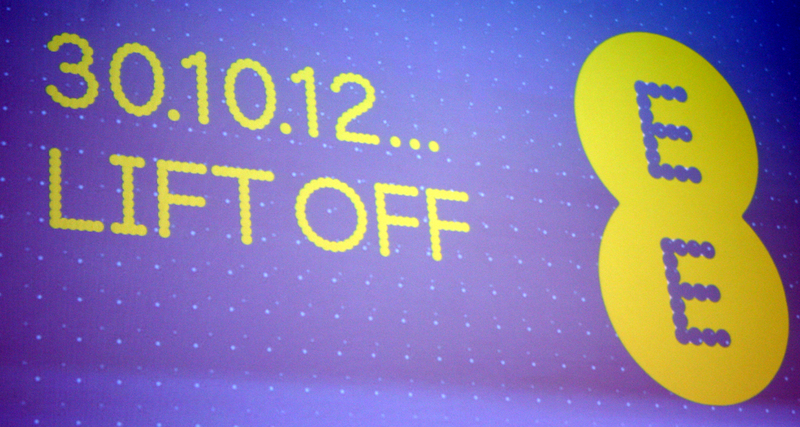 Are you excited about the arrival of 4GEE? Tell us your thoughts in the comments.